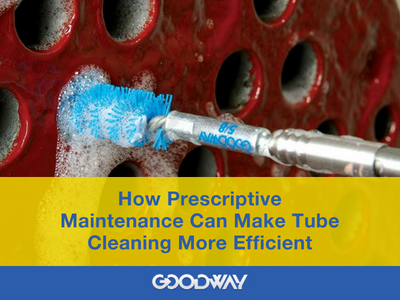 Can Prescriptive Maintenance (RxM) Make Tube Cleaning More Efficient and Effective? 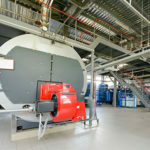 For industrial plants using water or fire tube boilers, maintenance managers know that boiler shutdowns need to be planned in advance to minimize plant downtime. When a boiler is cold the plant is not operating at full capacity so the fewer times per year the boiler is offline, the better. 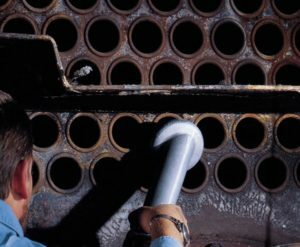 Usually what drives the need for a maintenance shutdown is diminished boiler efficiency from fouled tubes. 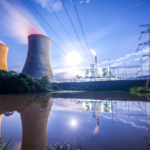 In facilities with boiler monitoring systems increased stack temperature, higher than normal fuel usage, or a reduction in boiler heat transfer all indicate a loss of system efficiency from tube fouling. 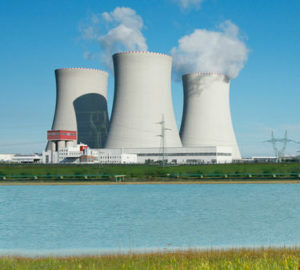 The boiler control system can be set to give the operator an alarm when these parameters go out of range and the maintenance manager can schedule the shutdown. This predictive maintenance approach works well and is used throughout the boiler maintenance industry. But there is emerging technology that is one step better. “Prescriptive” maintenance (RxM) goes further and not only alerts plant operators that parameters are out of range, but makes suggestions on how to either correct the problem or minimize the effects. 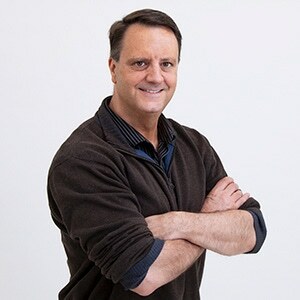 The monitoring system might suggest adjusting the excess air to burn cleaner and then give the runtime hours left before efficiency reaches a minimum limit. RxM systems may even compare the efficiency of one boiler to another and give the operator the exact date when it’s time switch to a backup boiler and clean the first one. The benefit of RxM for cleaning boiler tubes is a precisely timed shutdown that minimizes downtime and extends the time between cleanings. But of course, the boiler tubes must be cleaned at some point and maintenance staff need to have the proper tools and cleaning chemicals to perform their work efficiently. Goodway offers a variety of tube cleaning products and chemicals for a wide range of boiler types and applications. Contact Goodway for help in selecting the right tools and cleaners to ensure your maintenance staff have what they need to keep your boiler clean and operating efficiently. Contact us to discuss your boiler type and let us help you select the right cleaning tools for your boiler.